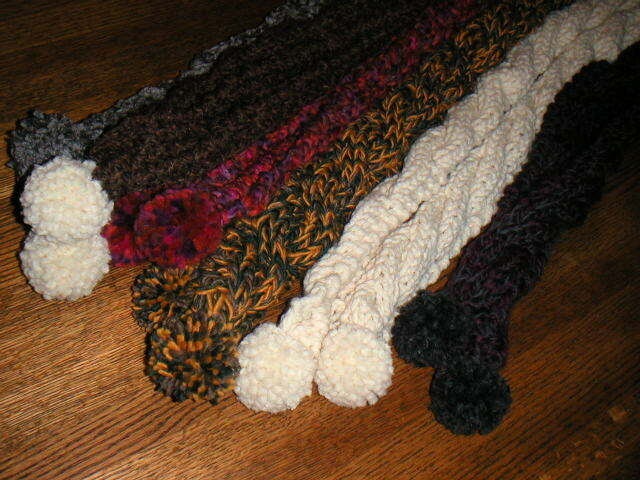 I'm still knitting hats and scarves like crazy! Last night's count was 20 big hats, seven little hats, and five scarves. Someone asked what yarn I used for the striped hat in my previous post and it's Lion Brand Wool-Ease Chunky. I have just about used up the five skeins of Burly Spun I bought a couple of weeks back and the Wool-Ease is almost gone too. It looks like I'll be hitting the yarns stores this weekend for more supplies. 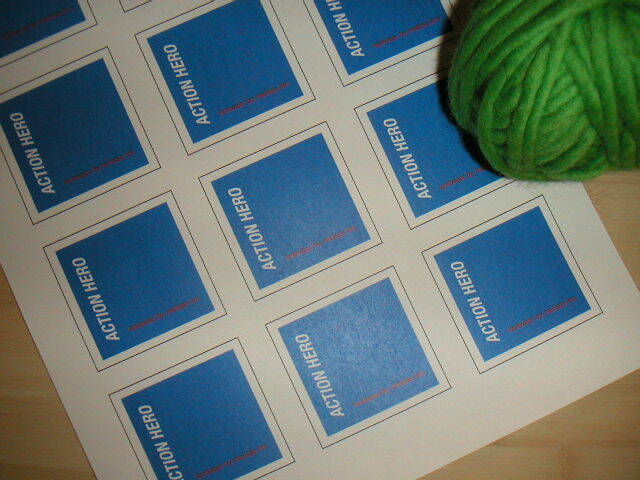 Posted is a picture of my new tags that I haven't cut out yet. I don't think you can see it, but the red writing on the bottom says knitwear by melissa lim. They're about 2" x 2".